← Should We Just Give Up Our Rights? Surrender Our Guns? If you take a look at the more than 13,550 gun laws we have in the United States including federal, state and local laws, I defy you to find even one that has saved a life, prevented a crime, prevented a mass murder or political assassination. It can’t be done. Gun Control laws do not save lives or make people safe. To the contrary, they make people less safe by denying them the ability to defend themselves from predation. So now they want what they like to call “Common Sense Gun Laws”. There is no such thing. They all make citizens less safe. Most gun laws on the books today are there as a result of an emotional, irrational over reaction to some tragedy or sudden perceived threat. None of the laws are based on Constitutional Law, or are consistent with overall dominant public opinion. 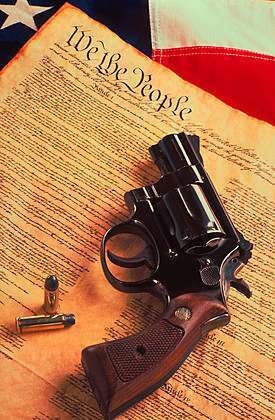 Each and every gun control law is Unconstitutional by simple, basic interpretation of the Second Amendment. Each and every gun control law is an Infringement of that which is stated in the Second Amendment. Each and every gun control law further restricts the freedom of law abiding citizens and infringes upon their right to do something that is otherwise legal. But even if we acquiesce to the Unconstitutionality aspect of many of the laws, we still have a problem with these laws that are do nothing laws with regard to safe guarding the citizenry. They fail to keep us safe. What they do is take the guns out of the hands of law abiding people and leave them in the hands of criminals, thereby making the general population less safe. Criminals don’t give a wit about gun laws. If they’re out committing other crime, why would they care about a gun law? In the meantime, the innocent victims on whom they prey are more likely to not have a means to defend themselves because they are obeying the law including gun law. Criminals looking for a victim, look for someone who appears to be easy, unarmed and incapable of defending themselves. After all, they don’t want to confront someone who might be able to shoot them; I mean, they’re not that not stupid. They look for ‘soft targets’. Arm these people and make them not soft. And don’t even get me started on ‘Gun Free Zones’ where the people inside are sitting ducks for anyone wanting kill people in mass. Just look at Orlando, FL; Charleston, SC; Chattanooga,TN; Fort Hood, TX; Sandy Hook Elementary in Newtown, CT, Aurora, Columbine, and too many others. All were “gun free zones” where no one inside was permitted to have their own gun for protection. Obviously we don’t expect children to be armed at school, but their teachers or administrators could be armed. Ministers and/or the parishioners, and service men at recruiting offices, could be. I even saw an article in Politico yesterday about armed gays who are taking their self-defense and that of those around them, into their own hands. 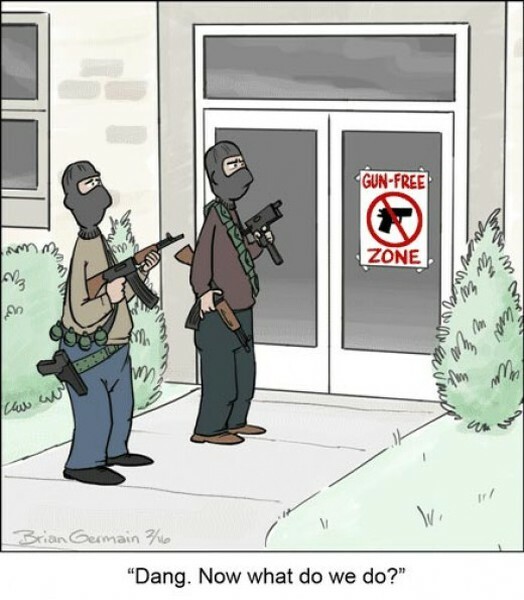 Gun Free Zones are gun control laws that are well intentioned, but have unintended consequences. They have killed more people than any other gun control law. Background Checks are designed to weed out the people who we deem should not have a gun. But they are woefully inadequate and many times miss the target. Take a look at the Sandy Hook Elementary shooter in Newtown, Connecticut. Adam Lanza has been since shown to be mentally unstable and in need in treatment. He simply used some weapons that his mother (whom he killed) had lying around. Dylan Roof, the Charleston Baptist church killer has since been shown to be mentally ill. His background check missed his disqualification all together. We want to keep guns out of the hands of people with mental disorders but can’t seem to do that. 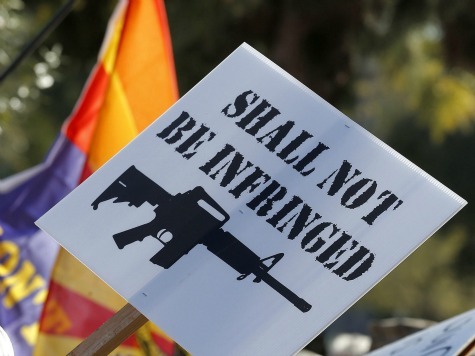 And then, in San Bernardino, a straw purchase provided the weapons – no background check on the shooter. In Orlando, the Pulse Nightclub shooter was actually on the terrorist watch list, and he was missed. I could go on, but I do not have the space here to list them all. Suffice it to say, “Background Checks do not work”. 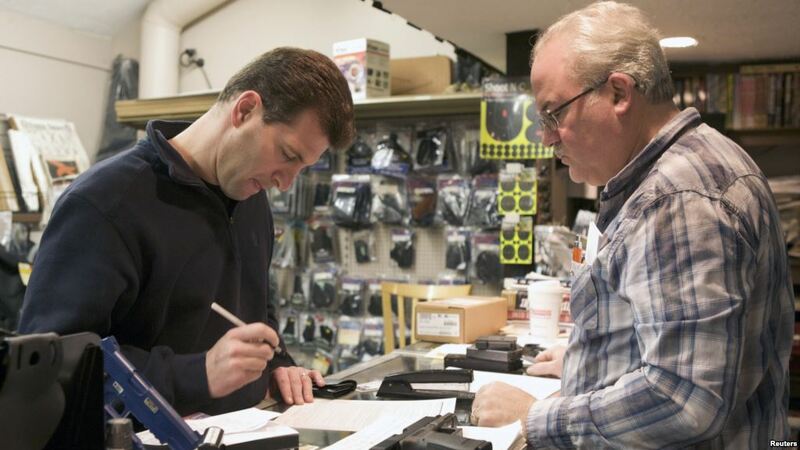 What is more, background checks many times bar people from purchasing guns who have been wrongly barred. Gun Control zealots love to argue that registering a gun is no different from registering your car or obtaining a license for your dog. Nothing could be further from the truth. The fact is that gun registration does nothing for crime in America. It will not stop a gun from being used in a crime. It will not solve a murder. Just because Government has the number of a registered gun, it does not tell them if it was used in a murder or any other crime. The only thing that registering guns will do is provide a list of gun owners and their addresses for the government should the government ever decide that it is time to confiscate all guns. Look what happened in New Orleans after Katrina. Government officials and police went through the City looking for guns and confiscating them, starting with the ones that were registered. And speaking of gun registration compared to car registration, 4 times more people are killed by vehicles each year then there are murdered by a gun. We don’t require a waiting period when purchasing a car, or perform a background check on the purchaser. But clearly cars are much more deadly than are guns. Waiting Periods were originally designed as a “cooling off period” so that someone with an intent to do harm would have time to calm down. They realized that was ridiculous so now they say it gives time for the background check to run its course. But as we have seen, it did nothing to catch the aforementioned shooters and several others not mentioned here. Last year there were 312 deaths caused from a so called assault rifle. In the same time period, there were more than 500 deaths caused from a hammer. Should we place hammers on a 10 day cooling off period when someone goes to buy one? If that hammer is a 24 oz. framing hammer, should it be considered a high capacity hammer and be banned altogether? Should we ban them all together? And look what happened in Las Vegas last December when Lakeisha Holloway mowed down more than three dozen people on the sidewalk. She was just a successful as any mass shooter. She was charged with Murder with a deadly weapon but where were the cries to ban vehicles. Let’s face it; Gun Control Laws are ineffective. They do not save lives. They make life more dangerous. Look at Paris. They have much stricter gun control laws than do we. In fact, they have some of the toughest gun laws in the world and have totally banned guns, yet 130 people were brutally murdered by Militant Islamic Terrorists. Gun Control did nothing for them in Paris. Gun Control did nothing for the people in Brussels either. In every case of Mass Shooting, the active shooter only stops when someone else with a gun shows up. Either he is killed by someone with a gun whether it is police or a citizen, or he kills himself when he realizes the gig is up. It always takes a good guy with a gun to stop a bad guy with a gun. FBI statistics show that when guns are more prevalent is a community, that community has lower violent crime rates; fewer murders, burglaries, rapes, assaults, all the way down the line. Liberals refuse to acknowledge those stats. They simply sit on their high horse and claim that, “It is not about Islamic Terrorism, its about guns”, and “Guns Kill”. 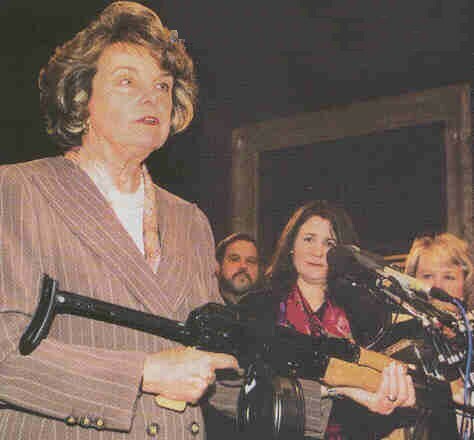 They want to ban what they call “assault rifles” such as the hugely popular AR-15. But “assault rifles killed fewer people last year than did hammers. Vehicles kill four times more people than do guns of any kind. And yet, where are the cries to ban cars, or limit the amount of gasoline one can hold to 10 gallons, or requiring a waiting period to buy one. Banning guns completely and making them illegal will not work to save lives. Criminals will always have guns. Drugs are illegal and drugs are an epidemic in this country. Step off the Gun Control soap box. Repeal the Gun Control Laws. There is no such thing as a “sensible gun law” or “common sense gun law”. They do not work, they do not save lives, and they are banned by the Second Amendment of our Constitution. Just read it. This is a compassionate plea. I’m trying to save lives here.